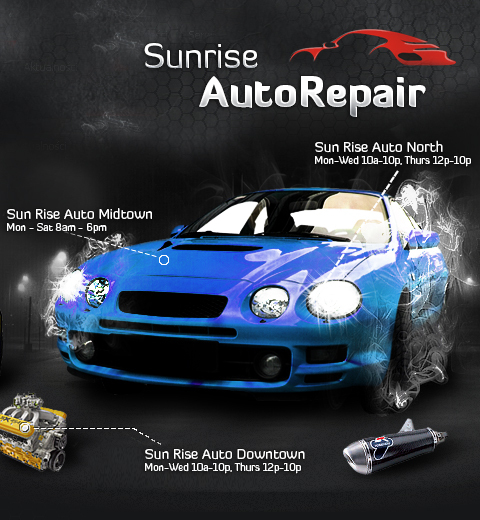 Welcome to Sunrise Auto. Our desire is to cultivate a continued relationship with you, your family, and your friends, meeting all your vehicles needs. We desire to produce more than just a satisfied customer; We want you to visit more than once, and we want you to tell everyone about us. Our goals are simply stated, no accidents, no harm to people and no damage to the environment. We will continue to drive down the environmental and health impact of our operations by pollution prevention, reducing waste, emissions, discharges and using energy efficiently.